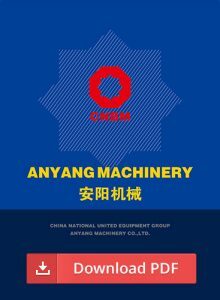 Equipped with hydraulic driving system, pulp distribution system and washing system. 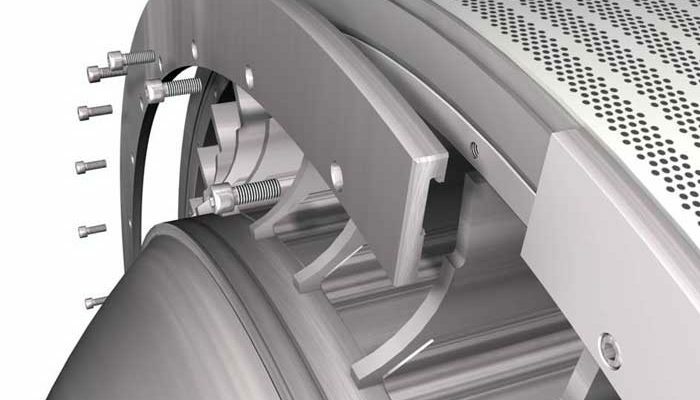 Equipped with the device for washing, dewatering and displacing. Good sealing in operation and convenience in control. Larger filtrating area and higher displacement performance. Higher level of automation and operations. 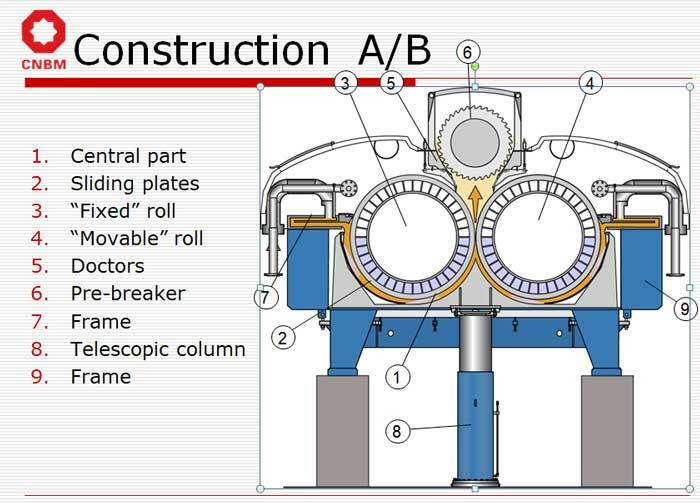 The twin-roll press is highly efficient equipment for automatic washing and extraction of filtrates and pulp concentrates. It is suitable for black liquor extraction and concentration of pulp, such as non-wood pulp, bamboo pulp, bagasse pulp, wood pulp, and waste paper pulp. 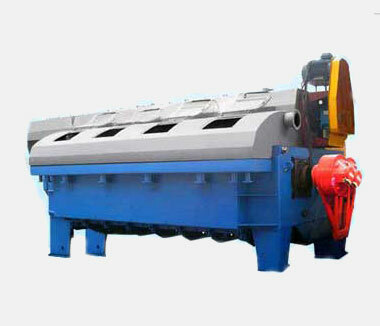 Twin roll press is made up of the press roll, screw conveyor, gasket scraper, filtrate receive and etc. 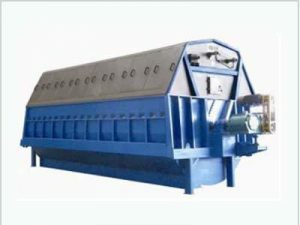 Twin roll press of CNBM is used for coarse pulp washing and black liquor extraction. 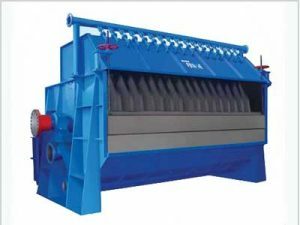 It can also be used for washing or concentrating pulp after bleaching. 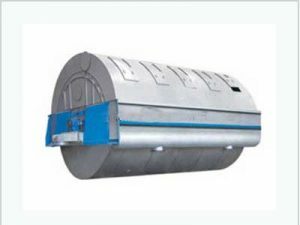 Our twin roll press is suitable for chemical pulping, chemi-chemical pulp and waste paper pulp in the large production line. 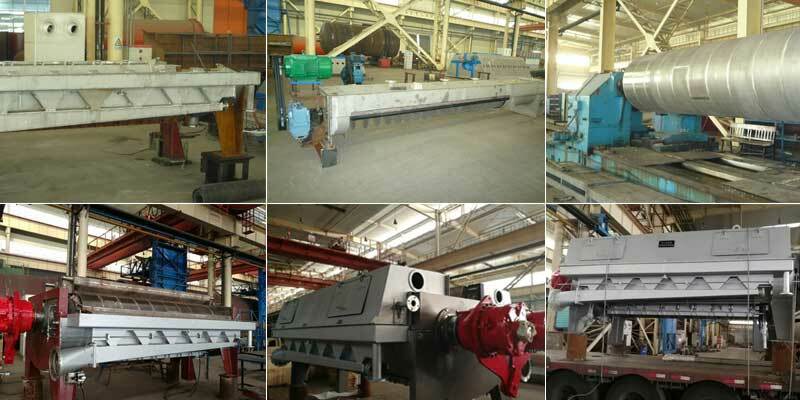 Our product performance is reliable, the operation index reached the international advanced level, and also can match project that produces 10-150 million tons each year. 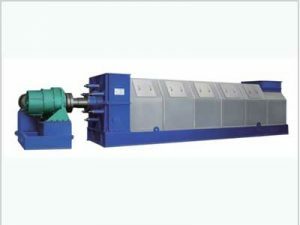 The twin-roll press is an efficient washing concentrating equipment for continuous dewatering and washing of the pulp based on the replacement press principle. 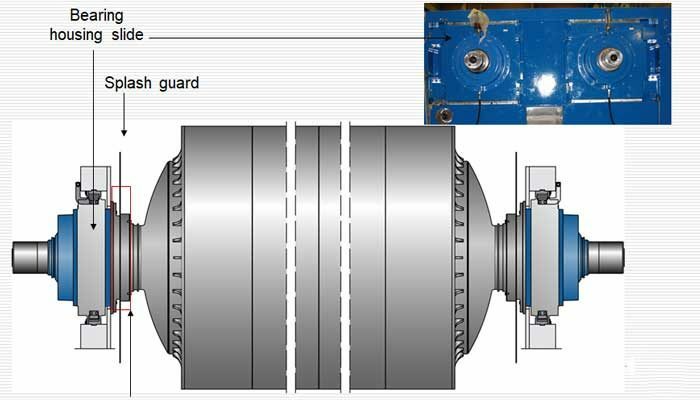 In the tank, pulp feeding concentration is generally 3% -5% (sometimes up to 10%), by the pump to 0.02-0.06Mpa pressure into the tank, the pulp concentration and flow can be automatically controlled. 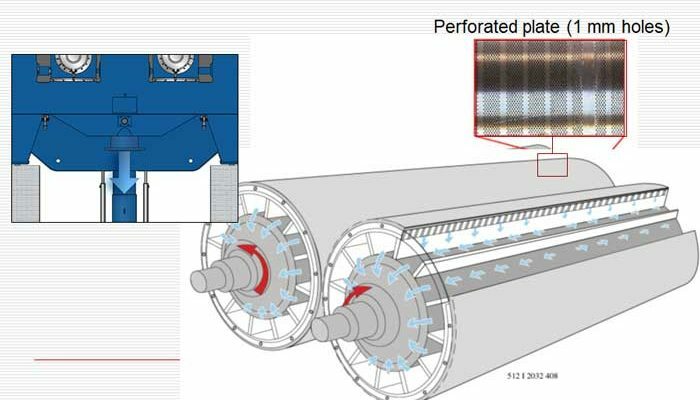 The pulp is discharged along the surface of the roller to form a pulp filter, which passes through the area between two rolls and is squeezed to the required dryness. 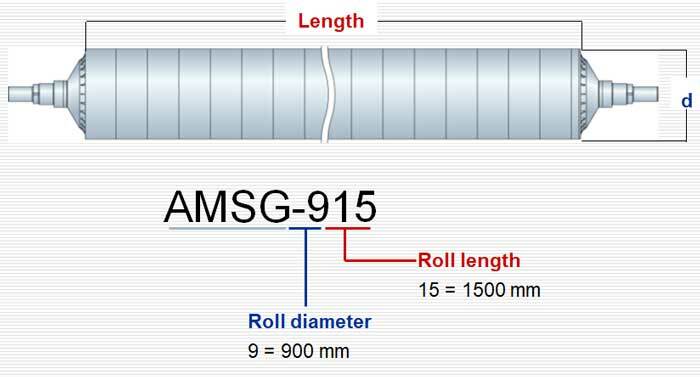 The dryness of the pulp is affected by the roll pressure, the nip size, and the roll speed. Pulp pass through the extrusion zone of two rolls is scraped off by the scraper and taken away by the screw conveyor. 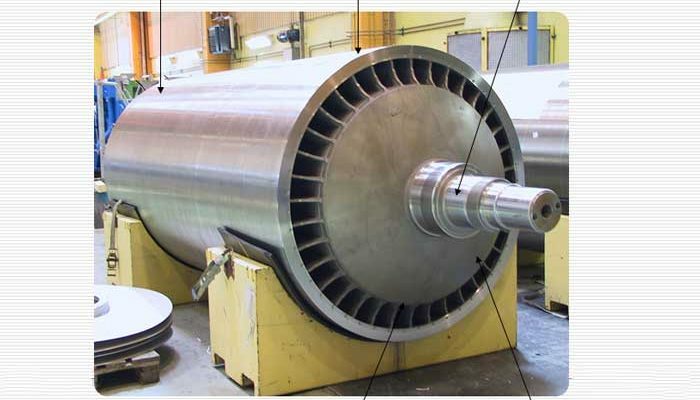 Next, the pulp is roughly broken and transferred to the spiral outlet, and then the pulp is transferred to a chute or the next treatment is required by the screw conveyor.